Drone manufacturer Pictorvision has announced their partnership with the Digital Cinema Society for a seminar exploring the world of professional aerial cinematography. Special guests at the event include Kevin LaRosa, Jr., who heads up the UAV division of Team5; two-time Emmy winning Aerial Cinematographer Michael Kelem; Gianluca Bertone, a cinematographer, licensed helicopter pilot and owner of camera house Bertone Visuals; renowned Aerial Director of Photography David Nowell, ASC, UAV authority and ICG Local 600 Business Rep, Michael Chambliss; Jon Landman of wireless systems manufacturer, Teradek; and Pictorvision president Tom Hallman. Guests will speak to the rapidly changing landscape of drone use, particularly for cinematography and filmmaking. Focus will also be given to the technology itself, going in depth on the drones themselves and how their latest developments. To attend you simply write “Aerial Cinematography” in the subject line of your RSVP to RSVPtoDCS@DigitalCinemaSociety.org. 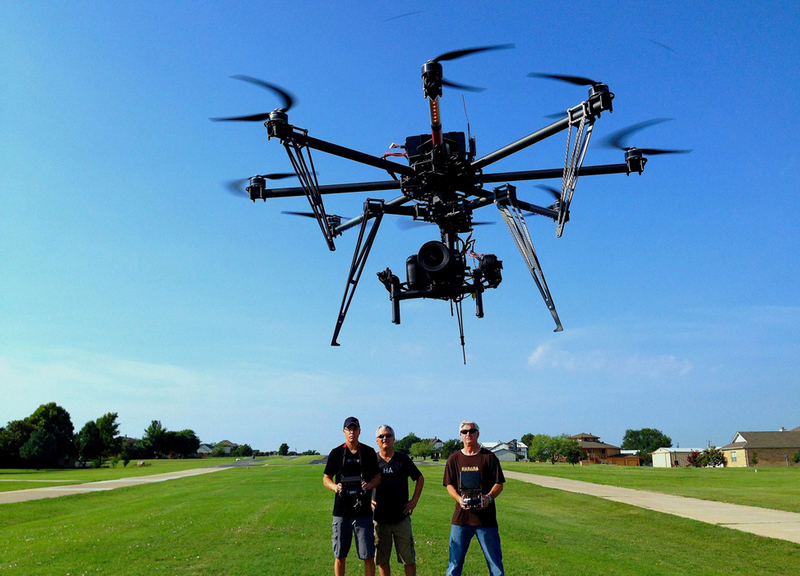 Van Nuys, California – February 20, 2015 – Pictorvision, leading aerial cinematography specialists for both manned and unmanned operation, announces that in collaboration with the Digital Cinema Society (DCS) it will host a seminar on the exploration of the world of professional aerial cinematography. The event will take place at Pictorvision’s headquarters in Van Nuys on Saturday morning, March 7th starting at 9:00 am. With a nod to the rapidly changing landscape of unmanned aerial systems (UAS) in the industry, the event will include a discussion of safety implications and the legal status of UAVs for commercial use, such as motion picture photography. Also on the schedule will be a look at the technological advancements that are opening doors to new ways of capturing aerial sequences, as well as the latest developments in the more traditional manned Aerial Cinematography.